Head for Points tends to focus on the first two types, but I thought it was worth another look at the five loyalty cards which offer decent on-going perks even if you don’t use them. For clarity, my list does NOT include perks which require you to hit a spending target each year to receive them such as the British Airways American Express 2-4-1 voucher. This article (click) looks at the most valuable credit card perks which require you to hit an annual spending target. The place to turn for full details of all airline and hotel loyalty credit cards is, of course, our ‘Credit Cards Update‘ page, which summarises all of the cards currently available. The Platinum card comes with a £450 annual fee. Because you can get a very generous 30,000 Membership Rewards points sign-up bonus (converts into 30,000 Avios or 30,000 Virgin Flying Club miles amongst other things) it may be worth giving the card a try to see if it works for you. There is a higher bonus of 35,000 points if I refer you – see my review for details. Platinum is a charge card, not a credit card. You need to clear your balance in full each month. 2 Priority Pass cards, each getting you and a guest into 1,200 airport lounges for free. The addition of the Aspire lounge in Heathrow T5, the Plaza Premium lounges in Heathrow T2, the Club Aspire lounge in Heathrow T3 and the Plaza Premium and SkyTeam lounges in T4 have made this benefit more valuable in recent years. Access to the Plaza Premium Lounge in Heathrow Terminal 5. Whilst this lounge is not in Priority Pass, you can get in – with a guest – by showing your American Express Platinum card. Lounge access with Delta in the US and with Virgin Australia in Oz. The latter is an unofficial benefit because it is aimed at Australian Platinum cardholders but lounge staff cannot tell the difference. …. plus some other bits and pieces. A lot of people, including myself, have a Platinum card for the benefits but – because of the weak 1 point per £1 earning rate – do not use it much. I use mine purely for HFP-related expenditure which gives me the added benefit of being to treat the £450 fee as tax deductible. The free IHG Rewards Club Mastercard gives you Gold status in IHG Rewards Club, the Holiday Inn / Crowne Plaza / Hotel Indigo / InterContinental loyalty programme. This is not worth much, frankly, but some hotels do give you a modest gift or some points as a welcome gift. In the UK you will get the option of a free drink. The £99 Premium version of the card gives you Platinum status in IHG Rewards Club. The guaranteed benefits are slim, apart from a 50% bonus on base points, but a lot of hotels do offer decent upgrades at this level, especially from the Crowne Plaza brand. Being able to buy high level hotel status for £99 is a great opportunity. This card is only available to HSBC Premier current account holders, and a substantial financial commitment to HSBC is required to receive one. Representative APR 59.3% variable including £195 fee based on a notional £1200 credit limit. You receive free airport lounge access at 750 airports worldwide via the LoungeKey programme. Guests are charged at £15, although if you regularly travel with the same adult it would be cheaper to pay £60 to get them a supplementary credit card on your account. It is a cheaper way of getting lounge access than buying your own Priority Pass card. If you get the standard version of the HSBC Premier Mastercard, you also get a LoungeKey card but are charged £20 per lounge visit. You can also get a free LoungeKey card via the Santander World Elite Mastercard. It is worth putting airline tickets through this card even if you don’t use it for anything else, since you receive a £20 Uber credit for each £500+ airline charge. The new Lufthansa card – launched in 2018, and which operates as a charge card and not a credit card – has one key benefit. As long as you charge £1+ per month to it, your Miles & More miles will not expire. This is a valuable benefit as Miles & More has a draconian three year expiry policy for non-elite members, irrespective of your account activity. 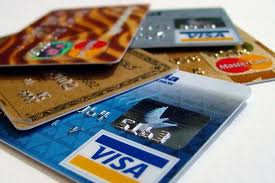 The card has a high annual fee of £79 per year. Overall, there are some interesting deals to be had with some credit cards which makes them worth keeping, even if you don’t use them. The most valuable is probably the IHG Rewards Club Premium Mastercard where you are effectively paying £99 to buy yourself mid-tier Platinum status at Holiday Inn, Crowne Plaza, Hotel Indigo etc properties. For bigger spenders, especially heavy travellers, American Express Platinum is worth a look. The generous sign-up bonus (30,000 Amex points is worth 30,000 Avios or other airline miles when transferred), airport lounge access and the free hotel status cards mean that you don’t have much to lose by giving it a try, despite the heavy fee. Have you looked at the ‘glossary of terms’ (usually at the start)? I would bet money they define ‘Trip’ there. If they don’t and it’s genuinely open to interpretation, then typically UK courts would find on the side of customer favour. However Amex are very smart and I doubt they’d leave something like that undefined. You just need to read ???? Yeah, have done a bit of reading but it’s still a bit vague…Still not 100% certain of what to do. Is it correct that you can upgrade to Platinum from Gold charge(AMEX),you get 20000 points and fee free for the first year? Relatively new to Amex Gold,appreciate opinions! 20000 bonus yes (plus 5k later for a supp). Fee free is NOT an advertised benefit. Some get it by accident, others don’t, anecdotally it’s good odds but you’d have no comeback if you weren’t one of them. I had no idea this was a possibility so I just looked at my statement. Can’t find the £450 fee anywhere! I upgraded roughly halfway through my 1st year of free Gold – now suspect the fee might kick in when the free year for Gold would elapse (i.e. halfway through Platinum). In any case, as this is pro-rata’d it wouldn’t be disastrous. Excellent news! Many thanks Nick,I guess I might just take the risk!On first year fee free Gold,do you think that diminishes the chances of getting away fee free Platinum? No. It seems to be just luck of the draw. When upgrading from Gold charge card to Platinum, do you do it online (while signed in) or ring up please? Worth cancelling any supplementary gold card before upgrading as you may then get more points to add a supp to platinum card. I recently had a uk car hire claim paid out by amex. Seem to recall also not finding it very clear in the terms if it was covered. Dont take this the wrong way (I’m not taking the moral high ground as it’s definitely something I would do if I could), but talking about how you file arguably bogus business expenses (paying £450 for a business card when there are free alternatives and then using all the benefits for personal use) doesn’t seem particularly tasteful! It isn’t a false claim, the card is used entirely for HFP purposes. As per the discussion the other day on travel classes, HMRC lets you offset any level of luxury you want as expenses. The problems with the IHG card are that it doesn’t support Apple Pay or downloading transactions in machine-readable format. Therefore it’s not a card that I would want to use for lots of small purchases, only for a few large purchases. This is quite true and a frustration. I work around it by linking it to a (basic level) Curve card, which has full iPhone support including notifications when the card is used. Yes, I likewise don’t carry the physical IHG card and instead use Curve, who tell me that they expect to support Apple Pay in December 2018. The downside of Curve is that you lose Section 75 protection, so it means remembering to take the physical IHG card for large purchases at merchants who don’t take Amex. Any news on the upcoming Hilton CC? Nope, will be 2019 I think.